If you been wondering what has become of eclectic prog visionary Devon Graves (Psychotic Waltz, Deadsoul Tribe) take heart and note of his new project The Shadow Theory and debut album Behind the Black Veil. Composing on his own for several years, Graves decided to form a band with the best of his peers to bring the music to life. He recruited Arne Schuppner (Complex 7) on guitar, Kristoffer Gildenlow (Pain of Salvation) on bass, Johanne James (Threshold) on drums, and newcomer from Greece Demi Scott on keyboards. The result is an impressive debut: ambitious music that traverses progressive metal infused with thrash, the psychedelic, symphonic, folk, and traditional prog rock. There's no need to question the talent on Behind the Black Veil, nor the rich arrangements filled with ingenuity and entertainment. However, some of this is elusive at the start. I Open Up My Eyes and The Sound of Flies are certainly crafty, but rather bleak, despondent and not necessarily inviting. Nevertheless, when you hit Ghostride creative genius finds it's power and persuasion. Welcome bristles with intrigue and delights your senses. Selebrate draws upon the folk prog rock angle offering shimmers of light and air. Sleepwalking is a curious mixture of the symphonic with characteristic prog metal, with an oddly disturbing nod to David Bowie. From here to the end the powerful combination of composition and talent continue. It culminates in the brilliant A Symphony of Shadows, remarkable in its accessible density. 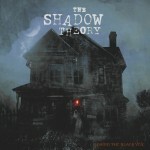 Fans of Devon Graves' Psychotic Waltz and Deadsoul Tribe project will find pleasure and satisfaction in The Shadow Theory. Yet the influences of his participants cannot be diminished; you might certainly hear doses of Pain of Salvation and Threshold, but also their peers Pain of Salvation and Riverside, within this work. Ultimately, Graves and The Shadow Theory crew impress with a massive work of imaginative, clever, and stylish progressive metal. Strongly recommended, and not to be missed. On Behind the Black Veil, Devon Graves and The Shadow Theory crew impress with a massive work of imaginative, clever, and stylish progressive metal. Strongly recommended, and not to be missed.